“I thought we made a great push in the third, but we weren’t really able to make many subs. 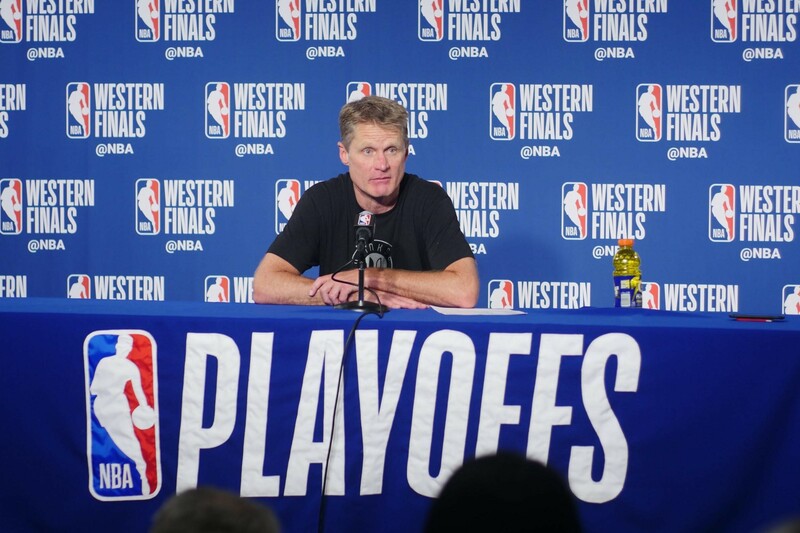 Our normal sub patterns obviously was skewed anyway with Andre’s absence,” Coach Steve Kerr said, noting Andre Iguodala’s time off due to a left knee injury made for key players like Kevin Durant and Draymond Green play for longer periods of time. “We just ran out of gas. They just outplayed us in the fourth and they earned it” he added. ”Now we’ve got to fight and really understand that this is a true playoff-type experience,” Curry said. The Warriors went on a run early in the first quarter up 12-0, before Harden scored Houston’s first basket off of a fluke pass to Green. At the half, James Harden had 24 points accompanied by Chris Paul’s 14 points while the Warriors were carried by Durant, who went for 15; and the warriors were down, 46-53. A fade away by KD started the momentum for the Warriors in the 3rd quarter and Curry got into a streak. As the fans began to rise to their feet, Curry cooked Rocket’s Damian Jones by hitting a step back 3 pointer forcing the Rockets to call a timeout – only giving the crowd more time to erupt. The Warriors season high 3rd quarter was led by Curry shooting for 17 points, making 5 of 8 three point shots. But the spurt did not carry them in the fourth quarter. Paul, a team captain for Houston, lead the 3rd quarter for Houston with 5 points and again in the 4th quarter with 8, going for 27 points, 2 rebounds and 4 assists. After losing Game 3 Sunday night by 41, the Rockets won Game 4 because of their grit and defense. Rockets Coach Mike D’Antoni called his team “soft” after their loss in game 3, and though Harden and Paul both brushed off the comment, both played as if they had something to prove. Game 5 will be back in Houston and regardless of who wins the Western Conference Finals will meet in Oakland again on Saturday May 26th.